Iran has a very long history. 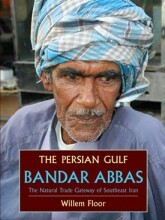 The range of Mage’s publications on Persian history is also long and goes from an sixteen-page fold out that covers the landmarks of Persian history from ancient times to the arrival of the Islamic Republic of Iran. 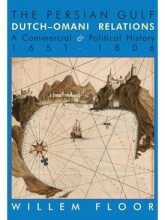 By Willem Floor In History, Kindle & iPad, and Politics & Economics Tagged In 18th Century, 20th Century, Books by Willem Floor, Dutch East India Company, Omani, Persian Gulf Series, Social Science, Sociolology, and Trade. By Willem Floor In History and Politics & Economics Tagged In Books by Willem Floor, Industry, Persian Gulf Series, Social Science, Sociolology, and Trade. 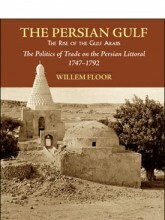 By Willem Floor In History, Kindle & iPad, and Politics & Economics Tagged In 17th Century, 18th Century, Books by Willem Floor, Economics, Persian Gulf Series, Shibkuh Coast, and Trade. By Willem Floor In History and Politics & Economics Tagged In 19th Century, Bandar Abbas, Banu Ka'b, Books by Willem Floor, Borazjan, Isfahan, Kazerun, Persian Gulf Series, Safavid, Social Science, and Sociolology. By Willem Floor In History, Kindle & iPad, and Politics & Economics Tagged In 18th Century, Books by Willem Floor, East India Company, Economics, Hormuz, Kuwait, Persian Gulf Series, Social Science, Sociolology, and Trade. 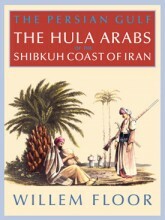 By Willem Floor In History and Politics & Economics Tagged In 18th Century, Arabs, Books by Willem Floor, East India Company, Hormuz, Kuwait, Persian Gulf Series, and Sheikh Naser. 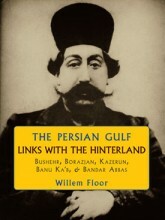 By Willem Floor In History, Kindle & iPad, and Politics & Economics Tagged In 17th Century, 18th Century, Bandar Abbas, Books by Willem Floor, British East India Company, Pahlavi Iran, Persian Gulf Series, Qajar, and Shah Abbas. By Willem Floor In History and Politics & Economics Tagged In 17th Century, 18th Century, Bandar Abbas, Books by Willem Floor, British East India Company, Oman, Pahlavi Iran, Persian Gulf Series, Qajar, and Shah Abbas.